1. 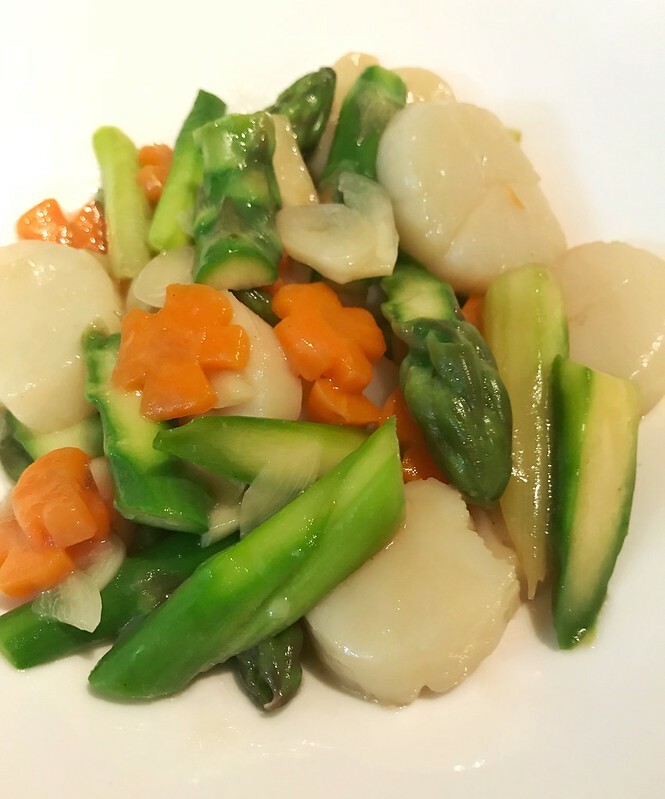 Cut scallops into two thinner pieces. Peel the asparagus and cut them. Also prepare several carrot slices to garnish the dish. 2. Boil a pot of water, add in 1 tsp salt. 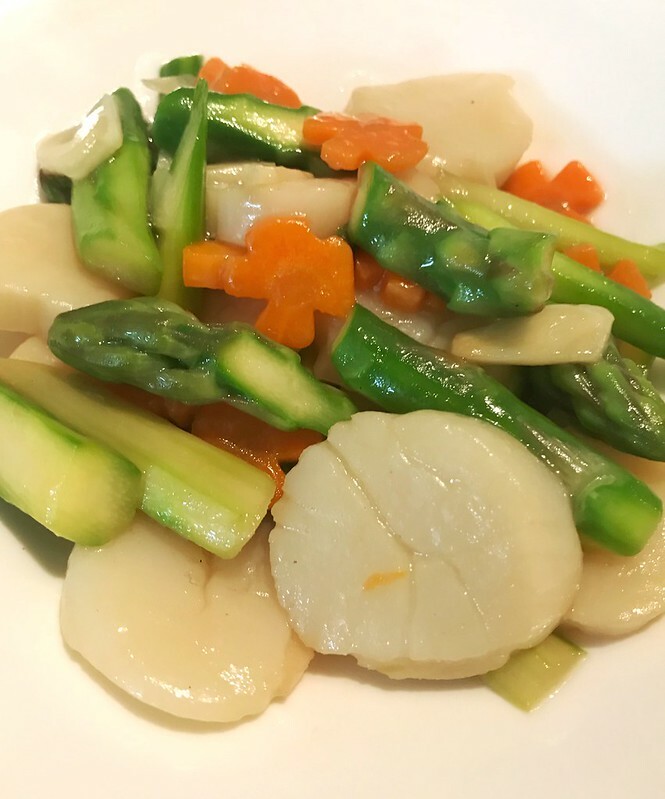 Blanch asparagus and carrot for 1 min. Rinse under water and drain them. 3. Heat a pan. In with 1 tablespoon oil. Sauté a little garlic & ginger slices. Add in scallops. Fry each side for 1 min. 4. Add in asparagus and carrot. Quickly blend them. 5. Add in 1 tsp cooking wine, 1 tsp light soy sauce and a little salt to season. Stir fry evenly. 6. At last, in with a little starch water.